When Esther and Ryan got married, they wanted to incorporate video games into the celebration. So they got artist Larry Quach to come up with a bunch of stuff that didn't just blow their guests away, it's blowing us away with them. 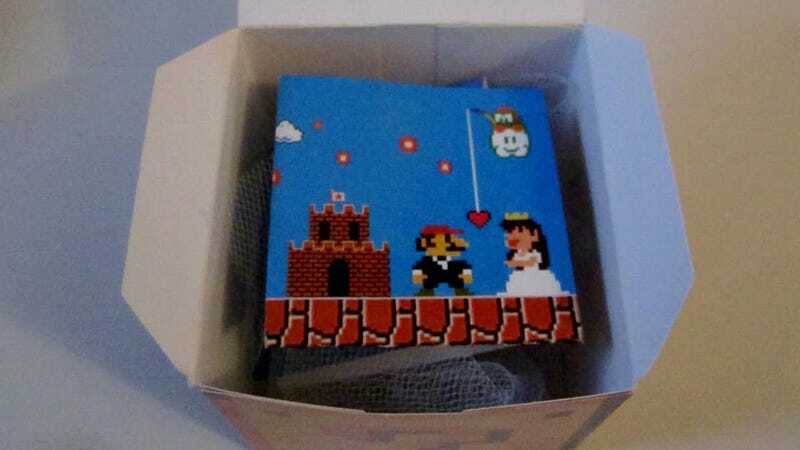 He did invitations shaped like NES cartridges, complete with black sleeve. He made boxes for the wedding favors that included a cute little card inside. He made adorable little menu selections for the dinner, and the seating chart was themed according to major Nintendo characters. Any one of those things on its own would be corny as hell, but all of them together is just brilliant.